Colorado travel deals can't be beat when you stay at Ski Town Condos, a Garfield Colorado vacation rental located in the heart of everything fun! While the mountains of Colorado receive plentiful press during the winter, it's the summer & fall months that offer the widest array of outdoor options. Create your own package exploring the surrounding San Isabel National Forest via horseback, ATV, jeep rentals, bike the Monarch Crest Trail, hike the Colorado & Continental Divide Trail, or tackle one of the many 14ers in the area. This perfect weekend Getaway includes the following for 4 guests: 3 nights lodging, half day Raft trip, 2.5-hour Horseback Ride, and a Tram Ride to the top of the Continental Divide! 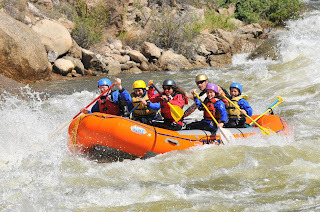 5-DAY COLORADO FALL PACKAGE FOR $240 PER PERSON, QUAD OCCUPANCY! Aug 16 - Oct 1, 2012 This incredible $960 package includes the following for 4 guests: 4 nights lodging, 2.5 hour Horseback Ride, 2.5 hour Leadville Colorado & Southern Railroad train ride, & natural hot springs passes! Fall is one of the most beautiful times of the year and we can thank Mother Nature for that! 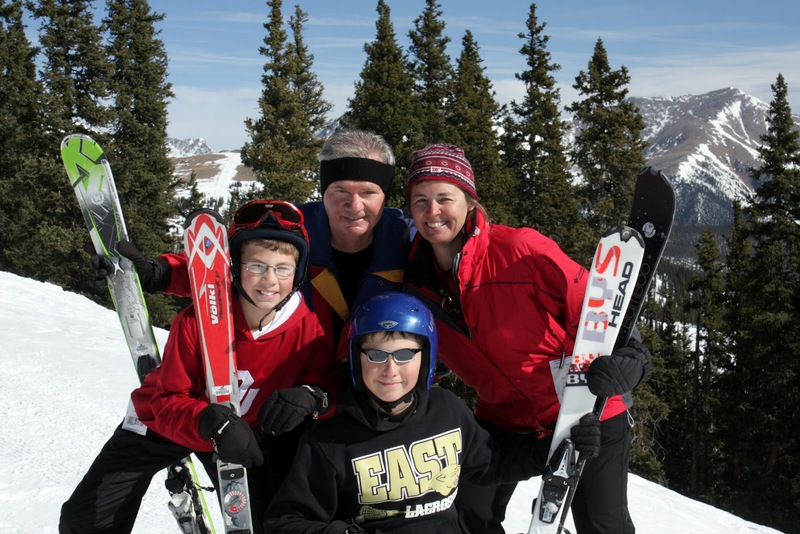 Planning family reunion trips in Colorado that include Arkansas river rafting or a Colorado snowmobile & ski package just got easier; let Ski Town Condos put an adventure package together for the whole family to enjoy! 5-Day Colorado Summer Package at $310 per person based on 4 guests! May 25 - Aug 15, 2012. Includes 4 nights lodging, half day raft trip, 2.5-hour horseback ride, Baby Doe & Matchless Mine tour with gold panning lessons, the National Mining Hall of Fame & Museum ticket,2.5-hour Leadville Colorado & Southern Railroad train ride, & a tram ride to the top of the Continental Divide! +6.8% sales/lodging tax. 5-Day Colorado Winter Package @ $325 to $356 per person, quad occupancy! This Winter Package includes the following: 4 nights lodging, 8 adult lift tickets, & 4 single-ride snowmobile tour (2 hours)! + 6.8% sales/lodging tax. Salida's 16th Annual Colorado Brewers Rendezvous, Colorado Weekend Getaway! Planning a Colorado weekend getaway to the Upper Arkansas River Valley is made richer by the depth of events offered year round. Come join in on the 16th Annual Salida Brew Fest , July 14, 2012, from 1pm - 5pm! Join CBG and over 45 Colorado brewers in Riverside Park in Salida Colorado for the 16th Annual Colorado Brewers Rendezvous. The Rendezvous is one of the most anticipated beer sampling event in Colorado every year. Tickets are on sale day of the event at the door. As always, we will have root beer for the DD’s and kids as well as local food and music. As you make plans for your weekend getaway, call Ski Town Condos, your Monarch Colorado Lodging choice today to make reservations at 719-539-7928.